Thinking of buying property off the plan? • Am I willing to tie up funds for a deposit, or pay for a bank guarantee while the property is being built? • Can I afford to lose my deposit if I can’t go ahead with the purchase upon completion? • What would happen if my circumstances changed during construction? • If the completed property is valued at less than what I paid for it, how would that effect my finances? If you can’t answer those questions, don’t worry. 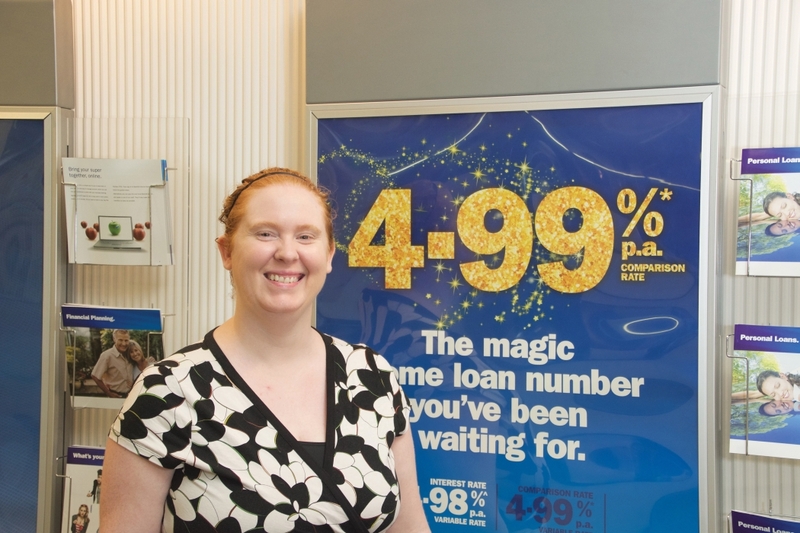 Leonie and the BankSA teams at Darwin City, Casuarina and Palmerston are ready to help. Bank SA will celebrate 30 years of helping Territorians next year, and currently has 35 staff working across the NT. Together they offer a full service proposition including personal and commercial banking and lending solutions, home and investment lending, insurance products and financial planning. In her role as mobile lending manager for the Darwin area, Leonie assists people with home and investment loans, offering flexible day time, afterhours and weekend appointments at clients’ homes and workplaces as well as the branches. In the industry for more than 13 years, Leonie has worked in a variety of roles in finance and banking, previously managing branches and working as a district manager and lending manager. “My passion is helping clients make their own dreams come true through providing financial solutions and advice,” she says. A growing number of BankSA’s Darwin clients are buying property off the plan, which Leonie says requires some special considerations. “When someone purchases a property off the plan they are essentially buying at today’s prices a property that will be finished in the future,” she says. Leonie says there can also be advantages to buying off the plan, including the $26,000 First Home Owners Grant and increased property value. Leonie encourages anyone considering buying off the plan to first sit down with an experienced lender to review their financial circumstances.